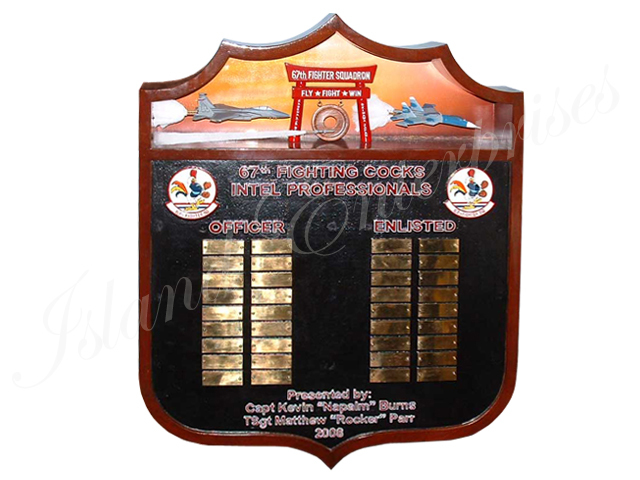 This 67th FS Intel Board is beautifully hand carved and hand-painted. Our artists and carvers can create a replica of any logo, patch or drawing you send us. Contact sales@islandenterprises.net for price and shipping cost.